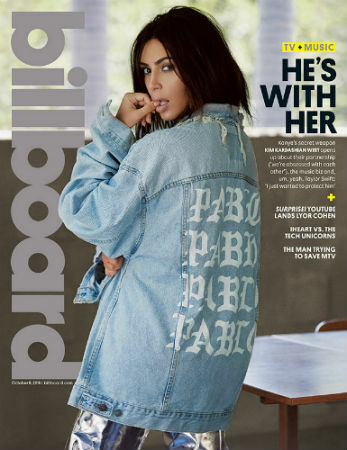 -In her new Billboard cover story, Kim Kardashian tries to convince us that she doesn’t want to talk about Taylor Swift anymore. Uh huh. –Kim Kardashian was assaulted by the same creep who grabbed Gigi Hadid. Here’s a history of his “pranks.” Kim reportedly plans to press charges; I hope she finishes him. –Benedict Cumberbatch interviewed Tom Hiddleston and refused to ask him about Taylor Swift. Jesus cripes, what kind of a Sherlock is this guy?! –Taylor Swift and Calvin Harris are texting again? Ruh-roh. -Girls is ending after this season and is wrapping up filming this week, which Allison Williams celebrated with some adorable Instagram posts. -Oh, FFS. Now Johnny Depp is in talks to star in a remake of Murder On The Orient Express? Sigh. -CW”s new superhero fight club segment is so good, I almost want to watch more of this instead of the actual shows. -I keep forgetting that Janet Jackson is pregnant. Good for her? -YouTube star Lilly Singh met Drake and it was as adorable as you’d expect. The “#ScarboroughTingSinceTimeG” hashtag wins everything. -I am so, so fascinated by THR’s story about how TV stars are getting rich at fan conventions. My brother and I once tried to calculate how much the average celeb makes at one of these things, and we clearly underestimated. I’d never judge the stars who attend or the people who regularly pony up hundreds of dollars for an autograph or photo, but there’s definitely an assembly line feeling to that component of cons. I’ve gone to two and had a blast, but mostly stuck to the panels. I lucked out when I met Gillian Anderson but from all accounts, that was a fluke caused by extenuating circumstances and most attendees only get to talk to the stars for a minute or so (mere seconds during photo opps). In any case, to each their own but I could devour a whole series on the commodification of celebrity interactions. -Meanwhile, Stephen Amell is super unhappy about how that article portrayed the experience. -So glad to see Kate Middleton is enjoying our view. -It tickles me to see Woody Allen’s new Amazon series get terrible reviews. –Jon Favreau is directing a new Lion King. Sigh. -I saw Sandra Oh at TIFF and though I hated her movie, it reminded me how much I miss her. She just joined the cast of ABC’s American Crime. -Speaking of TIFF, I liked Kristen Stewart‘s Personal Shopper. I think. It’s still percolating. In any case, here’s the new trailer. –Adam Driver plays a poetic bus driver in this new clip from Paterson.